A to Z Motor Spares (Wakefield). 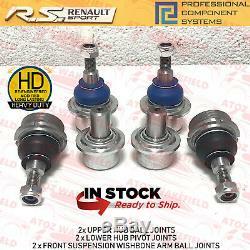 RENAULT CLIO MK3 RS SPORT MEGANE MK3 RS SPORT FRONT AXLE BALL JOINT SET. 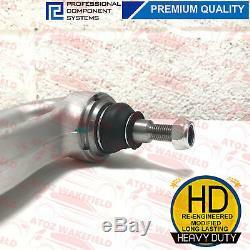 2 x FRONT UPPER HUB BALL JOINT (HEAVY DUTY). 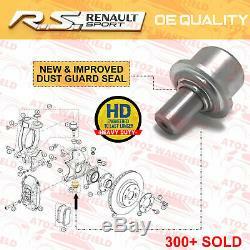 2 x FRONT LOWER HUB PIVOT BALL JOINTS (MODIFED TYPE NEW & IMPROVED DUST GUARD). 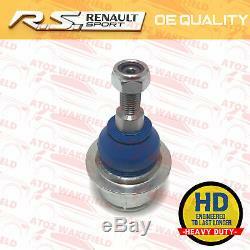 2 x FRONT SUSPENSION WISHBONE ARM BALL JOINTS (HEAVY DUTY). INSTOCK AND READY TO DISPATACH. RENAULT CLIO MK3 SPORT 197. RENAULT CLIO MK3 SPORT 200. RENAULT MEGANE MK3 RS SPORT RS 250. 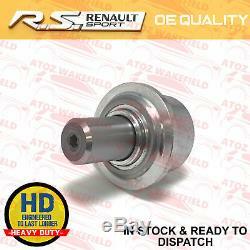 RENAULT MEGANE MK3 RS SPORT RS 265. RENAULT MEGANE MK3 RS SPORT RS 275. 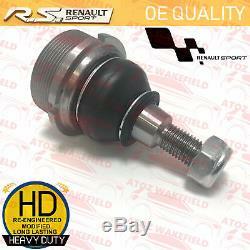 The item "FOR RENAULT CLIO 197 200 MEGANE MK3 RS SPORT TOP BOTTOM HUB ARM BALL JOINT PIVOT" is in sale since Friday, April 27, 2018. 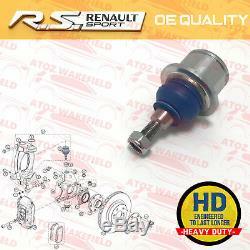 This item is in the category "Vehicle Parts & Accessories\Car Parts\Suspension & Steering\Ball Joints". The seller is "atozwakefield" and is located in Wakefield, GB. This item can be shipped worldwide.